Lately I’ve been seeing nationalistic / racialistic rhetoric from some who identify as Christian. Some say that this is just their politics and has nothing to do with their religion. That is, of course, a distinctly secular idea, that one can practice some part of life in a way that is separate from religion. While we don’t have to pursue theocracy, dominionism, etc., to be authentically Christian, we still don’t turn off our Christianity when practicing politics. It is not Christian to say that I can act one way in church and in a contradictory way in politics. Please note well that this post is not to promote some particular policy position about borders, immigration, globalization, etc. I’m talking about the underlying exclusionary philosophy of nationalism. One might, for instance, decide to close borders for defense reasons rather than nationalistic ones or to emphasize localist economic policies to stimulate local commerce rather than out of fear of cultural pollution. I’m also not critiquing the idea of having a “Christian nation” (which of course is a very complicated issue all on its own) or even just a nation. All Christians may find it interesting to read this 2014 Biblically-based reflection by Dr. Eric Jobe on this question: Is Racial Nationalism Compatible with Orthodox Christianity? A Theological Reflection on Holiness and Priesthood in the Old Testament. Eric gets down to the questions of division and distinction through the priesthood as represented in the Hebrew Scriptures. It’s very much worth reading. Yes, the Church is for all people, and all are my brothers, but you are not my kind, so go stand over there. I’m happy to receive communion with you, but not with you, please understand. There is a reason why, in Orthodox Christian liturgical texts, we so often see this phrase: “the race of Christians.” Christians are a new nation, a new people joined together all in Christ. A truly catholic Christianity will not inspire its followers to divide people on the basis of “kind” (however construed). Only sectarian religion does that. To be catholic (from Greek katholikos, “according to the whole”) is not only to be universal but also to embrace the wholeness of humanity. It is not a system of correctness but a spirit of love. In catholicity we do indeed find true dogma, true faith and true worship. And in catholicity we find a spirit which invites all into the intimacy of communion. Catholicity does not promote error, for most errors are sins against catholicity. And catholicity does not remove distinctions, for it would not be catholic if it imposed utter uniformity. There is nothing wrong with being of whatever “kind” one is—culturally, racially, nationally, etc., or even with wanting to preserve and cultivate those things. The problem comes when we seek to divide and to exclude on the basis of such things. That is not catholic. It is sectarian. Historic Christians have to resist the temptation to the sin of sectarianism, the feeling that one must be divided from the other because of the impurity or difference of the other. Rather, while true divisions do exist over things like dogma, our hearts should be torn over those divisions and seek to overcome them. Certainly, a much lesser division such as nationality or race should not divide us, because such identities are temporary, anyway, and do not contradict the catholicity of the one Church. Just as an addendum, it should be noted that this post is not about what we might think of as the “ethnic problem” in the Orthodox Church, though of course it is related. If you’re interested in my thoughts on that, here’s a piece I published last October: How I Made My Peace with “Ethnic” Orthodoxy. The Church is Not the Building… Right? There are many ways to divide. But repentance and love bring us together in humility. A very nice post, Fr. Damick. Thanks the Lord and you. It’s really very sad when Christians divide themselves by nations and forget that they are whole, without such divisions. Are you telling Greeks, Serbians, Cypriots, Romanians, Russians, etc., they can’t draw borders around themselves, call themselves a nation, and have national Churches? This is overlooking centuries of Church history. Am I to believe that this Enlightenment-era experiment and modern multi-cultural State known as the USA is the only true and correct practitioner of the Faith after all these years? Orthodox and Catholic ecclesiology remains rooted in vanished Empires, even as our lands fill up with mosques and other non-Christian temples. The answer to your first question is “no,” though I strongly suspect you skipped the penultimate paragraph of this piece before asking it. I’m not going to bother with your second question, because it really has nothing to do with this post. Is there anything wrong with saying that every Nation should have its own Church? I just don’t see the problem with, for example, with Romanians insisting that their country stay the land of the Romanians and they get to practice the Faith as an expression of their native culture. At some point, shouldn’t the Church be nationalist? Won’t the end result of uncritically admitting every Muslim immigrant who shows up at the border be a Muslim country? I was reminded of how out of touch we Americans are in our quasi-empire when I spoke with a native Georgian who attends our parish. I asked him to tell me what Georgians call their country. He misunderstood, assuming I was asking him for an English translation, and said, “the Land,” and looked at me as if to say, what else would we call it? Is there anything wrong with saying that every Nation should have its own Church? It’s the “should” that is the problem. And there’s also the problem of defining nation. Should Syria and Lebanon, for instance, each have their own Orthodox church? Certainly there are differences between Syrians and Lebanese. At some point, shouldn’t the Church be nationalist? Won’t the end result of uncritically admitting every Muslim immigrant who shows up at the border be a Muslim country? I do not have a crystal ball, so I don’t know. That said, this post is quite explicitly not about border control policy. Please don’t attempt to commandeer it again. You seem to be saying that “fear of cultural pollution” is the only thing off limits. But isn’t that what Nehemiah 13 is all about? Our Slavic brothers fought to the death not to become Ottoman or Mohammedan in their history, and I’m willing to bet their clergy blessed them before battle and prayed for their victory. Since you still seem to wish to commandeer this post to make it about critiquing the idea of having religiously-identified nations, I won’t be publishing any more of your comments. That said, what is happening in Nehemiah 13 is not fear of cultural pollution but rather the maintenance of the cohesion of the community through governing religious marriage law. But even if it ought to be read as you’re reading it — a prescription about politics — then one also has to make the error of reading the OT essentially as many Protestants do, that is, as a direct set of dominionist-style commands for Christians of today. But the point of Israel’s being separate from the nations was not to bolster Jewish identity but rather to illustrate what holiness is — being set apart for the service of God. And we should also remember that some snapshot of the history of the OT should not be taken as an eternal command of God. After all, we see that eventually we get all the nations being invited into Israel. In any event, I am definitely not saying “that ‘fear of cultural pollution’ is the only thing off limits.” How you get that from this post is mysterious to me. What I am saying is that we should not use our love of family, country, etc., to exclude people from the communion of love. See? You will not answer even the most basic and important questions of the day, even when someone is looking for answers. I see this repeatedly with this generation of Priests. You have no practical answers for anyone and what little you’re willing to venture implies to be Christian is to be obviously suicidal. Why would anyone seek out the Church? We have no confidence in the gifts of Christ. We don’t even think that Christ wishes us to preserve ourselves, even though we’re convinced God will resurrect our bodies. We’ll even pray each Mass that rich countries absorb the masses while ignoring the obvious concept that rich countries could instead be helping to develop poor countries so no one has to move and all of the lives of those in poor countries are improved. The Catholic church is unique in her ability to help in that situation. And what she do? Pray that other people do those works that are clearly within her scope of responsibility. Who are we anymore? Do we do anything that Christ commands? See? You will not answer even the most basic and important questions of the day, even when someone is looking for answers. And what I happen to write on my blog is one little sliver of what I do as a priest. As for the rest of what you write here, I’m not sure I understand what you’re driving at. Forgive me. Nationalism, and a “racialistic” worldview, though sometimes intersecting, are not necessarily always connected. I’ve seen more American converts throw around accusations of “phyletism”, (to which most have a poor understanding of what that actually is), as if to weaponize the term. I don’t see as much mistrust of so called Nationalism in Orthodox countries like Greece and Russia, and though there are extremes, I would argue that us American converts sometimes have an irrational fear of anything outside our individually chosen identitarian preferences, and this includes Orthodoxy. Ethnic solidarity is common, and celebrated in other Orthodox countries, and I think us American converts have a hard time with that due to several factors such as the inherent “rugged individualism” that permeates our cultural ethos, as well as the out of control cultural Marxism that has infected every last one of us with an irrational distrust and border line hatred of western civilization. I see and hear this cultural self flaggilation a lot from many an Orthodox convert who run to the “other” of the Christian landscape of America, trying to shed the skin of their former tradition and culture in sub conscious disgust. This is why, in my opinion, we do not deserve a non-jurisdictional Church. We would find a way to feel guilty about it, or to convince ourselves it’s not as good as “that Orthodoxy over there”. I would agree with you fully that racism of any kind is unacceptable and contrary to our faith, but Nationalist does not a racist make, and maybe it would be a bit more productive to define what you believe a Nationalist to be? Making such a wide armed accusation of incompatibility here is unfortunate, and I think your points would be better received by people like me if you took an additional paragraph to define where you believe the “line” is between healthy and unhealthy nationalistic sentiments. Thanks, once again Fr Andrew, for another thoughtful, provocative post. This whole piece is a “line,” actually, a very explicit one. The point where ethnic pride, etc., turns into nationalism and/or racialism is when it is used to exclude other people from loving community. This is timely and much needed. There is as well a Christological aspect to this because ultimately, no matter how much they protest, the racialists ideas lead to the necessity of multiple incarnations. Having spoke to many of these types most believe that the soul has a body and/or a race to say nothing of their views european, African et al people do not really have nor share the same essence or even nature (to say nothing of their comparing human beings to breeds of dogs). If that’s true one immediately has to ask what human nature did God assume at the Incarnation. An excellent point. I often get the idea that racialists especially are preaching that, actually, yes, in Christ there is Jew, Greek, etc. Actually, I’d say it’s impossible to be a humble, confident Catholic if you refuse to make a difference between self and others. How do you feel about the Pope washing the feet of Muslims on Holy Thursday? Do you think it’s an act of Christian charity? Or perhaps it was merely to have skewed the meaning of Christianity charity so entirely that the appearance of charity is now more valuable than the actual charity of correcting the error of Muslims. Did Pope Francis put Christ first on Holy Thursday or did he create a “look how humble I am” photo-op for himself? This article is same mush I see from most modern Catholics. We can will no longer speak clearly or plainly but hedge our bets on everything and everyone somehow being right, with ourselves “more right”. We have no confidence in ourselves or theology. And why? In part, we’re supposed to be generic Catholics now. It’s not okay to be proud that part of being French has been to be Catholic. And if we’re all generic Catholics with no important connections to our families or nations, who cares about Catholic theology of the body? Who cares about the second coming and the resurrection of the body? You seem to be taking this post to be about being Roman Catholic specifically and then want to make it about things Pope Francis is doing, etc. As for courage, honor, etc., those are great things. But there is nothing courageous or honorable about ejecting other people from our lives because they’re different. One can be a nation without nationalism. Nationalism is about exclusion. You can, for instance, be a proud Scotsman without rejecting all non-Scots. But if you are going to be a nationalistic Scotsman, then you cannot abide the presence of anyone but Scots. The point here is not to push for a “generic” anything, but rather to warn against using identity as a weapon. The problem here is an underlying philosophical issue that teaches that distinction means opposition. Nationalists cannot allow themselves to make distinctions without turning them into oppositions. But one who is behaving in a catholic manner can make distinctions without turning them into oppositions. Oddly enough, nationalism is in a sense a form of Nestorianism, in which distinction becomes the enemy of unity. First my apologies on not reading more closely that you are Orthodox. But all the same criticisms and frustrations still apply here as with my own Catholic tradition. Part of this rigidly defining nationalism as basically a rigid cartoon. You want define nationalism as some sort of extreme ego trip without reason even. A proud Scotsman is a nationalist. He cares about preserving himself and his family first. He puts his own oxygen mask on before that of others. Yes, he wants Scotland to be for himself and his family, not because he hates others, but he recognizes his heritage as a gifts from God, worth preserving. People from Pakistan have a home called Pakistan. Put too many Pakistians in Scotland and you’ve got a Pakistan colony, not Scotland. A Scot, when overwhelmed by others in his homeland, will be powerless to preserve what is unique about him or her. As I’ve just explained, it’s not possible to have nation without some definitions and some exclusion. It is easy and lazy to say “Anyone can come here. We can’t exclude anyone because their different. We refuse even, to use the gifts of basic discernment. ” It’s “safe”, from a Christian perceptive and certainly pure. And yet, it’s clearly a disaster. All church attendance is down. Athesism and Islam grow. And you fluffing away a major emotional force that helps keeps people in church and keeps them growing in their faith. The great irony here is that you will not see distinctions even within nationalism, or allow people to act on personal pride. What you’re say is never to act on pride, which is the same as telling people not to have it. In essence, you’ve said the populace, the only way to stay pure in the Christian sense is to be celibate, rather than get married. Not shockingly, there isn’t a whole lot of enthusiasm or a whole lot of babies. And as I recall the Catholic and the Orthodox broke up over the Nicene Creed. A lot of pride in that moment and fierce, too. Sad, but I see amazing and unique traditions that God created from that. Would I have lost talking to you, a unique person from me, if the was less pride in the room? Maybe so. The other great irony is that nationalism, or more properly healthy pride, encourages people to defend and preserve their uniqueness. To not mindlessly conform, as you have chosen not to. Most of what you’re saying here is what I would define not as nationalism, but simply a sense of national identity. The problem, I think, with lumping all of this under the single label of nationalism is that it makes the distinction I’m making here hard to see, namely, that it is possible to have a sense of identity and love for one’s own, even “pride” in it, without also rejecting someone who does not belong to that same identity group. It’s that exclusionary rejection that is what I am pointing to as nationalism. Anyway, if you’d prefer to call that something else, fine, but I’m still interested in critiquing that exclusionary, anti-catholic spirit. And that’s what this post is about. It is not a critique of national identity, pride, etc. Unfortunately, what I’m trying to say that what you want is impossible. You really are trying to define nationalism so narrowly and rigidly as to be completely sinful. But at some point, like our theoretical Scot, I might have to say: No, you can’t be here. No, you can’t be my neighbor. No you need to stay in your country because I need room for my children and my culture. I have to exclusionary to save myself and my heritage. Not because I hate the other, but sheer practicality. I very strong feel that God calls us to deal with difficulties like nationalism – to understand both a dark underbelly but also how God puts those emotions to use. I’m not sure we’re very strong on the later right now. And this has been done to death since the 1960’s. Again, I apologize for picking on you as a proxy for my parish Priests, but if I hear the racism Homily again I may need to just start openly doing Rosaries during Homily to keep me from going bonkers. I certainly pray a lot during them right now. 🙂 From some Priests, unfortunately, I hear nothing else, like there is no other issues to be had within Christianity. I think we’ve all got the message and its gone way too far. It’s very clear that many people honestly believe to be Christian is have no absolutely discernment about who is going to be your neighbor for the next decade or forever or even how anyone acts, to go that far. That the only value you need to hold as Christian it just to be nice to everyone regardless of they act or may potentially act. Well, no, in addition to the obviously suicidal bit, depending on who your potential neighbor is, Christianity is way more complex as you well know. Why you’d think you’d even need to get this message out, when Starbucks attempts to do the same thing with it’s baristas is a very strange to me. There’s so much more going on and if anything we seem to be suffering from a lack of energy and confidence. Oh, no worries and I did know at least part of that. 🙂 I’m very much agree (obviously) that the Papacy isn’t all it’s cracked up to be. And I see the unity in Christians who are genuinely wishing to be part of the Body of Christ. Rome tends to pray for something more concrete, but especially with Orthodox, I see God’s work and it’s enough. Anyway, the arguments that you’re making here are not really responding to what I’m saying. I am absolutely not putting forward a doctrine of multi-culturalism, open borders, globalization, etc. I can’t stand the way our politics wants to force everyone into two separate boxes. What I’m saying has nothing to do with that stuff. I’m talking about catholicity, not the hegemony of corporatist multi-cultural imperialism. You really are trying to define nationalism so narrowly and rigidly as to be completely sinful. You have it almost exactly backwards, really. I’m defining very precisely what it is I’m talking about — rejection of other people based on perceived differences in “kind.” This is the basis for most nationalism. There are, of course, varieties that express other things. I’m not saying there aren’t. As I said, though, the label isn’t what’s important. What’s important is the philosophy that advances arguments that “kind” actually matters in a way that means we don’t have to love people by not dividing ourselves from them. I haven’t yet seen any nationalist argument that doesn’t basically kick catholicity to the curb. In short, catholicity isn’t a “liberal” value (as though today’s liberal/conservative bifurcation is the only way to talk about these things, anyway). It’s a Christian one. All nations are gathered together into Christ. FWIW as someone who visits Scotland regularly the Scottish National Parth soundly rejects racism, racialism and sectarianism. They have supported brining refugees to Scotland and believe the nation is stronger due to its immigrant populations. One of its star members is a young man of Pakistani descent who’s often seen wearing a kilt with a traditional Pakistani shirt and jacket. I’m going to say that I think you should take responsibility for your blog posts. I don’t think it’s fair to blanket say nationalism isn’t catholic, and by extension not Christian or Historical/Orthodox Christian and then refuse to point blank answer any of the practical questions that nationalism brings up. This drives me nutty at my own church, too and probably why I mistook your background as Roman Catholic, other than poor reading skills. Always bringing up deep questions which imply (rather than stating) that this certain way is Christian, and then refusing to answer questions about even basic practical implications in Homilies or in public. On the contrary, nationalism is precisely a spiritual and philosophical ailment before it is anything else. It is precisely a spirit of sectarianism which permits its rise to begin with. That’s why I’m addressing the theological problem with this post. Yes, there certainly are public policy implications, but I’m of the opinion that if souls can first be healed, then politics will follow. That doesn’t mean that I don’t think that politics is important, etc. But in the context of this particular post, I’m just not interested in departing from this higher level question of theology and descending instantly what everyone happens to think about Donald Trump. Even if we were to discuss the practical implications here, I am far more interested in what those implications are “on the ground” in the individual life than with rendering up our opinions on the transient political questions of the moment. I agree with your general point about practical issues, and if you are familiar at all with any of the rest of my writing (two books, another forthcoming, hundreds of blog posts and homilies), not to mention the spiritual assistance that I try to give my parishioners, you will see that I am all about applied theology. But there’s nothing wrong with straightening out the theology first before moving on to the application. We have to have a sense of purpose and reason for what we do, not just a series of moral commands. But I still very much disagree here. You want to heal the spiritual, bring up giant theoreticals, hint around about how people should act and then when pressed with particulars wait until some magical day until someone (not you) has an answer. When I go to MD, with a cold, I’m happy to hear lifestyle options, if he or she will treat the cold. If my cold is untreated it’s waste of both of our time. Similarly, it helps me not one iota to discuss the idea in big flowery terms that I need to lose weight and walk out with no advise whatsoever on how to achieve that. (That happened the last time I was in Doc’s office, by the way.) It negates the point of going to such an expert in the first place. Well, sure but I’m trying to argue that it’s appropriate to be prepared to get to specifics if you want to post in a blog format. I find Priests resist that part where they use the moral authority they’ve been given for the comfort of the warm fuzzies of theory. Just my personal, anecdotal experience is that they aren’t nearly as good as they think they are to nailing down specifics. Everything can’t be about everything. And it doesn’t have to be. In short, though, you shouldn’t assume that just because someone wants to talk about theology and philosophy (not “theory,” by the way) that that means we should move on from those things as quickly as possible. That’s just pietism, really, and isn’t congruent with most of historic Christianity. I’m sorry if you find the priests you know to be useless people, but they’re not all there is out there. As for this topic in particular, I am not going to get into policy specifics because that’s a whole big can of worms that would simply distract from what is actually much more important–the “why.” Sorry if you would prefer to talk about something else, but, well, this is my blog, and I talk here about the things I want to. There are, of course, 10 billion or so other spots on the Internet where people can have it out over whether we should build a wall up against Mexico. I find that excessively dull and useless, to be honest, and beside the point, which is to heal people’s souls first. Given that the cover photo is of the enthronement of two indigenous Kenyan bishops, it may be prudent to acknowledge the nationalist roots of Kenyan Orthodoxy. African nationalism (a la Garvey) has certainly left its share of problems, which continue to this day. But the flip side of nationalism-as-exclusion-and-oppression is, well, nationalism-as-inclusion-and-liberation. When Kenya’s white supremacist churches in the 1920s insisted that Africans could be Christian on only European terms, for African Christians to respond with African nationalism should not be shocking- nor, even, might it be considered an absolutely evil thing. It was in Holy Orthodoxy (by way of Garveyite “African Orthodoxy”) that these nationalist churches found their cultures baptized and liberated, rather than whitewashed and suppressed. What you’re describing isn’t the definition of nationalism being used here, though. There’s a difference between national identity and nationalism. It’s the latter that excludes. And that’s wrong. Sure. If your definition of nationalism excludes people who call themselves “nationalist,” however, I think your definition may be a tad narrow. I appreciate your post, Father, and I take it to heart, which is why I’ve bothered to respond. I see a broad similarity between Orthodox nationalism in places like Kenya and Uganda as well as places like Cyprus and Serbia. I think a shared history of survival under racial oppression, and eventual liberation from racist empires, makes way for both the bad things that you define as nationalism as well as more positive- and perhaps salvific- things that are often called nationalism. The good and the bad are hard to tease apart. This isn’t the forum for going deeper, but the title and cover photo for your article brought these things straight to mind. The relationship, in particular, between Cypriot Orthodox nationalism and Kenyan Orthodox nationalism is worth investigating. It is not by chance that both Kenya’s seminary and its Metropolitan are named Makarios. thank you, truth has no pride. hides weakness by overlooking the many faults we all have in sight of God. I want to thank you for pointing out this issue. I too have observed the nationalistic spirit that drives orthodox Christians from countries such as Serbia, Greece, Bulgaria, Russia etc…Not that I am hating on these cultures since I also have come across many who are loving, humble and godly Christians but I am speaking from my own observation as a convert since coming close to those people who are extremely nationalistic from those lands. I believe the nationalistic spirit in church stems from the long gone historical competing imperial systems. The imperial secular hierarchy became impregnated into the church hierarchy. The political motivations, the drive, the prideful attitudes and ideals of the secular empires became also for the churches within for their advantage. Nations were competing for land and ruling of other nations within. This cause introduced within the members of the churches of those empires the feeling of national superiority and national indifference that were not there in the church before (nor is in our faith even at all). The catholicity that you mentioned was mostly the dominant spirit of the 300 years prior to Emperor Constantine, the spreading and the calling for all nations to be baptised into Christ with the shedding of the blood of the martyrs. Today we don’t have empires any more. The lands have been divided among people with an identity that once lived all under an empire and as a result we have many countries. Churches that were mother churches were based on imperial system before and today in my opinion should not misinterpret their role being mother churches in the sense that they have entitlement of the land of the neighbouring country and churches within that country. I believe the churches need to acknowledge such a change today and allow people who identify with an identity to have its own orthodox church for the sake of the salvation of those people and for permitting the body of Christ to not be divided early based on hate and national indifference ( a feud between two identities that results with the orthodox faith splitting and enmity and hatred to one another is the result) but to be given early like the father of the prodigal son when he gave what his son asked for with a loving heart. To spread the orthodox faith among other race based on love and a sharing spirit. Sadly we don’t have the titles of the churches being for example the orthodox church in the land of Serbia or the orthodox church in the land of Greece etc… such titles maintain the catholicity of the church in separate countries since orthodox faith is being put first before nationalism. This also goes along with the way of orthodox Christians being “sojourners”. 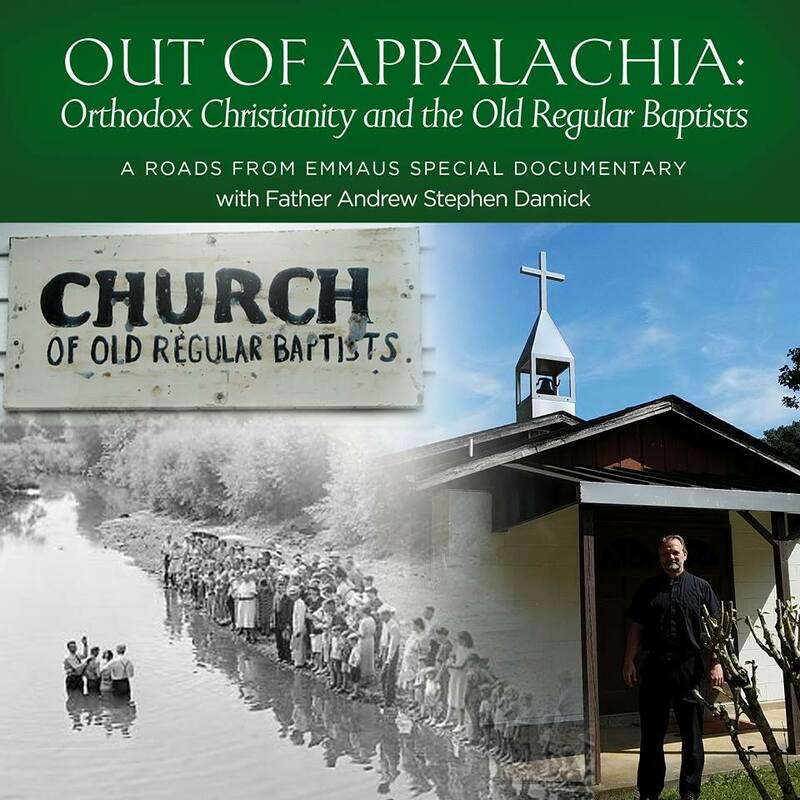 The orthodox faith moves from one place to another calling all to repentance and be baptised into Christ. Its the orthodox faith and not the church of Greece or the church of Romania the one spreading. I hope I didn’t go out of your topic. Thank you for clarifying and explaining in your comments what you mean by your post. Another topic that goes along with this one is the misuse of the church canons to justify hate and indifference to other nations or races in need of Christ message or a brotherly attention who don’t confess the same faith or aren’t Christian at all. Extreme nationalism, or more properly, chauvinism, is what is Nestorian. You paint all of it with the same brush and that is wrong. We Westerners have way too much of a modern and Enlightenment mindset. There is a healthy, Christian type of nationalism. If you go too far and take the Liberal route and ignore the fact that God ordained Nations, Gen. 10, then you venture into not being a Nestorian but being a Gnostic. You paint all of it with the same brush and that is wrong. As for the rest, well, you’ll have to prove that and not just assert it. Show me, for instance, where I say that nationhood itself is bad. Also, FWIW, if I really am a gnostic, I certainly picked the wrong church to do it in — it’s hard to get an earthier, more tactile Christianity than Orthodoxy. If you came from a Protestant background, often times a lot of neo-Gnostic baggage is there. Just an observation. Plus, being Americans, we barely know what having a real nation (ethnos) is, since this whole country was conceived in anti-Traditional deistic Enlightenment precepts. Well, I’m all ears for evidence of gnosticism. I’m also interested in interaction with the content of this piece, namely, how one is authentically catholic in a world where everything pushes toward the sectarian. The American approach to the Faith is to subscribe to a set of abstract principles, a “gnostic” trait. The traditional approach, as in the classical nation-states, is of the Church wedded to her people and an integral part of their culture through an inter-generational procession of baptisms, weddings and funerals. Modernist Americans want to grow the Church by evangelism, not by baptizing children and having large, extended Orthodox families. Any strong creed capable of reproducing itself in its own pews will eventually become an ethnicity. Sikh, Jewish and Anabaptist sects are all good examples. Their creed is literally wedded to their ancestry through life-cycle rituals. I’m allowing this comment through precisely to answer this very basic contradiction being expressed so clearly here: Nationalism is anti-evangelism. That’s why it isn’t Christian. It’s not “gnostic”, “abstract” or “Modernist American” to seek to evangelize. It’s Christian. Indeed, it’s the last command that Jesus ever gave. The Church is for all people because Christ is for all people, bringing all together as a new nation, a royal priesthood, a peculiar people won for Himself. Maybe this is taking the comparison a bit far, but I seem to remember a great example of the excesses of “ethnos” in Genesis 11. Look where having one nation, one language, one culture, one prideful mindset got the people of Babel. Pride can take a lot of forms, both personal and cultural. Last I knew, Scripture doesn’t say good things about prideful people, regardless of the source of their pride. Actually the lesson of Babel is the opposite. Man has no unity in this fallen world, our only unity will be at the chalice and in the Kingdom. On Earth, we are meant to live separately. Separate nations, separate languages, separate cultures. And the only way to preserve those separations is to protect them. Check the book of Revelation, and count how many times the word “nations” appears. Separate nations are supposed to exist in this world, and will continue to exist until the Second Coming. I am of Greek Cypriot descent (3rd generation) living in England, UK. There is a fine line between patriotism and nationalism. The former is acceptable, the later not. I do think sometimes however, people do mistake patriotism in our churches for nationalism. The Greek speaking churches to which I am familiar with have great strength in their cummunities cultural identity, they are very patriotic of their motherlands, which I think is a great asset in todays multicultural societies, where it seems anything goes. However, I must also say that I have witnessed nationalism in our churches here. Most Cypriots I know enjoy being Cypriot, which is great, but this Cypriot identity comes first with them then Christianity second. It should be the other way around. But we also see another trend where converts from these Isles, which are welcome, in order to sometimes overcome the nationalism they think they face, try to bring in their own British nationalism, which is wrong as well. It is quite possible to be Greek Cypirot and Christian at the same time, but I have to say that our Orthodox faith must come first, all the Greek stuff (which is also important for a communities wellbeing) should come second. All this stuff is important to a degree, but it is of the world and passing away. Only our faith is constant and enduring. I think the problem the way I see it is that we all have our brokenness, we are a fallen humanity, and we tend to bring all that brokeness from the world into the church, which should be avoided. I would point out one thing. It is true that Orthodoxy has made some accommodations with modern nation-states. However, the Byzantine Empire was a very large, multi-ethnic empire. The Russian Empire was also a large multi-ethnic empire for most of its history. I do not know of any saints who expressed an objection to this form of government. Of course, I am not sure that I know of any saints who expressed an objection to modern nation-states either. We can, of course, debate the prudential question of one over the other. Moreover, I assume that both forms of government have characteristic dangers that we have to watch out for. Still, I do not see strong evidence that the Orthodox church prefers one over the other for all times and places. I suppose that I should stress that I also hold that people have a strong obligation not to mistreat others because they are of a different nation or ethnicity, and that people and governments have some obligations to assist people outside of their border. I take that this is a large part of what Fr. Andrew was saying, and of course he can not iron out all of the details in a short post.